Would you like to provide a comprehensive corporate governance overview to your Board or Committee? 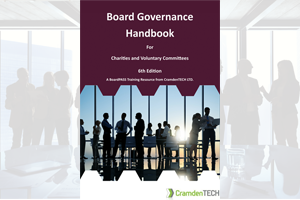 Have you considered developing a Board Governance Handbook but are unsure where to start? If the answer is ‘Yes’ to either question, then you will want to obtain the 6th edition of our Board Governance Handbook, designed for Irish non-profits and committees.